.......53 Buddhas and Me .................My Life Adventures.....: "Pull My Finger Out"
With all the sadness with the bushfires about this past week I have not felt motivated to do any much at all. It is weird I have sort of felt guilty that I can be happy and some people cannot. But last night I decided that I just have to "Pull My Finger Out". So I pampered myself in a "Bubble Bath", did my nails and told myself "Self if you don't look after your own life how can you help anyone else". Don't worry Rachel & Susie I haven't got to the point where I answer myself yet. So this week is going to be a good one for all, not just me. I am not going to dwell on the tragic events. But one thing I must say is how AMAZING are Australians. 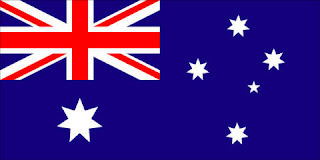 We as a nation have done so much to help our fellow Aussies, we can really be proud to be Australian.